Add some sultry vibes to your wardrobe with this insta-worthy bodysuit. 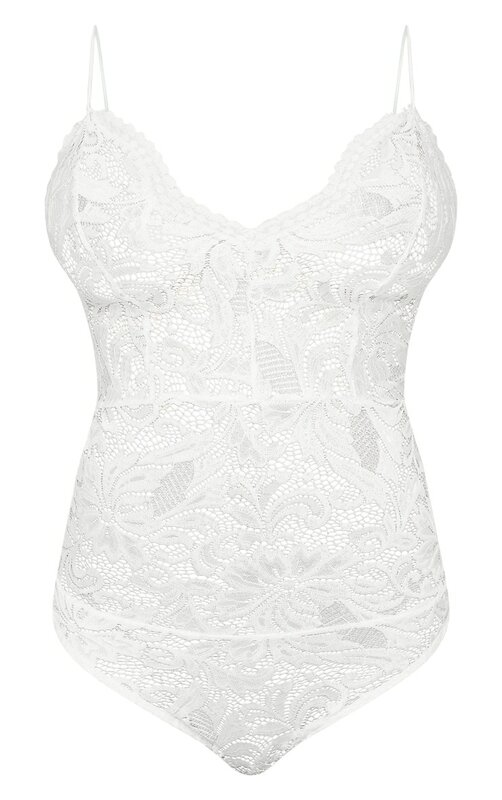 Featuring a white sheer lace fabric with a plunging neckline and popper fastenings, what's not to love? Style with wide leg jeans and gold barely there heels for a fiercely feminine look.